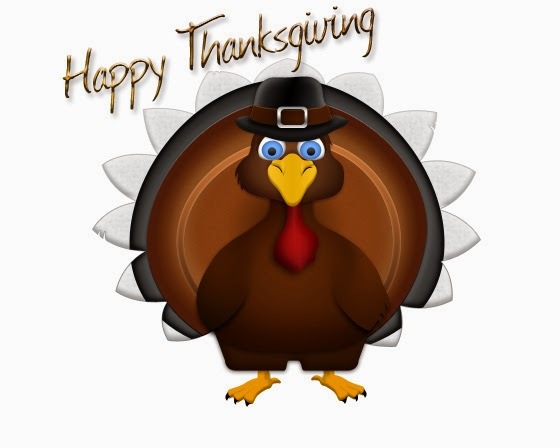 Wishing all of our U.S. readers a very happy Thanksgiving! Today, we are sharing which books we're the most thankful for this year. Tell us in the comments which book you would pick! What book am I thankful for today? Honestly? COMPULSION. I am thankful that so many people invested their time, talent, energy, and resources into this book. From my amazing critique partners, to my beta readers, fabulous editors and my agent, to every person at Simon Pulse who have all contributed to bring this book into the world. I'm also thankful for the authors who read early copies and said nice things about it, and the authors who have been generous in sharing their advice and expertise, here at Adventures, elsewhere on the web, and in person. But most of all, I am thankful for the readers, librarians, and booksellers who have so kindly embraced this book. I appreciate and love each and every one of you! The book I'm most thankful for would have to be Harry Potter (I'm going to cheat a little, and use the whole series! ), because I'm horrible at remembering what books shaped me into the person I am today without the Harry Potter novels overshadowing them. I adored those books growing up, and attended every single midnight release for them. To say I wasn't obsessed with Harry, Ron, and Hermione's adventures would be a vast understatement. My parents didn't understand it at the time (I'm still trying to convince my mom to read them), but those books are what opened me to reading. Without them, I'm not sure who I would be today. My best guess is probably someone who wouldn't have books stacked in every available place in my room and office. I think I speak for a lot of people when I talk about Harry Potter. For my generation, it was a huge gateway to reading and discovering new worlds in other books after our copies of Harry Potter started falling apart from too many rereads. This month I’m most thankful for The Selection. Not because I read it, but because my daughter, AKA the reluctant reader, read it and demanded the rest of the series immediately under threat of believing I no longer encourage her to read. Probably the happiest moment this month for me was watching her remove the books from her bag in the car and start texting pics to her friends, saying, “Look what I got!” Wish I could’ve taken a picture of her at that moment. So thanks, Kiera Cass! You rock. I have two that my mind immediately jumps to. The first is OUTLANDER by Diana Gabaldon. It's not YA but it opened my reading up to adult historical fiction again, and I had been off it for a few years. OUTLANDER really reminded me of why I love it and i've devoured the entire series in a matter of months! The relationships, the decadent writing, the history and absolutely everything captivated me from the first word. The second is Laurie Halse Anderson's THE IMPOSSIBLE KNIFE OF MEMORY. This book was the first book I had ever read by LHA and it was absolutely brilliant. The story was heart breaking but so incredibly realistic. The characters reached me in a way not a lot often can. The romance wasn't the main focus but it became a pillar of strength for Hayley. The relationship between Hayley and her father Andy was heart wrenching, beautiful, frustrating, destructive and yet LHA was able to weave an underlying thread of hope that completely struck a match in my heart. My experience of reading this book has stuck with me for almost a year and I absolutely know it's one that I will be rereading soon and frequently. The book I am most thankful for is KILLING RUBY ROSE because not only is it a fun and thrilling read, it also brought the fabulous Jessie Humphries into my life. The full story involves much rambling about the stars aligning the right way several times, but the short version is this: The incredibly talented Megan Miranda recommended I read KILLING RUBY ROSE because it had the mixture of humor and darkness I was striving for in my WIP. So I read it, loved it, and when I saw that Jessie Humphries was a #PitchWars mentor, I had to submit to her. To my happy-dancing delight, she picked me to be part of her team, and her feedback on my WIP has been very helpful in finding the right balance between laughter and horror. As I finish my revisions and prepare to query, I’m thankful for Megan and Jessie and the book that brought us all together. I'm going to say that the book I'm thankful for this year is I'll Give You the Sun by Jandy Nelson. The writing style is beautiful, the characters are easy to relate to and the plot itself is just weaved in perfectly within the two different point of views. I'd pick my recent release Beacon from Evernight Teen, but I'm sure there is a different one I could choose. Something for me to think about. If I had to choose one book from this year, I might choose Saving Lucas Biggs. It's a terrific middle-grade novel. For YA I would choose What She Left Behind. Happy Thanksgiving (one day late) to all of you.